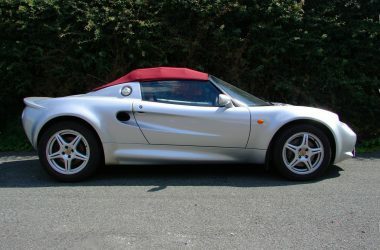 Lotus Elise project, this Elise has been off the road since 2012 due to the previous owner loosing interest while partially starting a mini restoration. Its a very early Elise chassis no: 333 with MCC brakes, over the top of manifold coolant pipe, and drilled front hubs for four pot calipers (the days before Lotus were unsure which calipers to use on the Elise!). MOT can supply with 12 months. Original owners booklet, every MOT from new, huge folder full of paper work. Full service history with stamps in the service book up until it was taken off the road in 2012. 1997 7,066 miles – Haydon Cars Ltd – After sales service. 1998 8,187 miles – Haydon Cars Ltd – A service. 1999 14,162 miles – Haydon Cars Ltd – A service. 2000 19,450 miles – Haydon Cars Ltd – B service. 2000 22,670 miles – Lotus Centre London – A service. 2002 29,687 miles – Lotus Centre London – A service. 2005 41,377 miles – Westover Sports Cars – C service (cambelt). 2006 44,216 miles – Westover Sports Cars – A service. 2006 44,414 miles – MOT. 2007 44,239 miles – MOT. 2008 44,166 miles – MOT. 2008 45,157 miles – Sportsmotive – A service. 2009 45,532 miles – MOT. 2011 47,000 miles – Sportsmotive – C service (cambelt). 2011 47,001 miles – MOT. We have got the car running and its ready to pass an MOT. However we are selling as a project, C service is required, tyres all have plenty of thread but will need changing due to age, front clam requires paint etc. We can carry out extra work depending on your requirements please contact us to discuss. No modifications apart from a stainless steel sports exhaust. All electrics work, alarm, immobiliser, heater, lights etc etc.